Let the incredible town of Exmouth take your breath away. 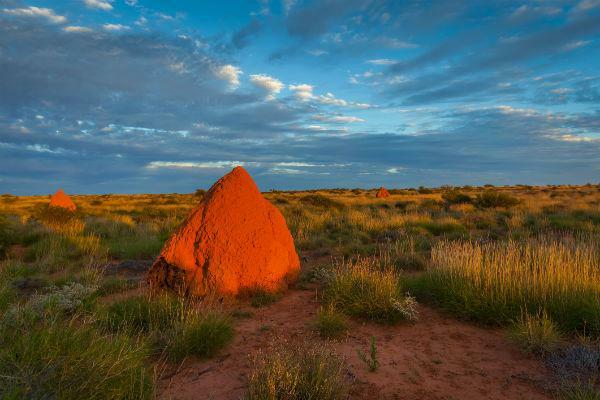 From glowing beaches with spectacular reefs, to canyons and rugged mountains, there is never a dull moment in this Western Australian town. Whether you snorkel your way through crystal clear waters, or immerse yourself in fascinating history, hiring a car in Exmouth is the best way to get around and experience everything you can in this remarkable region. While it’s a popular spot for tourists, the town itself isn’t very big by Australian standards. Only a few thousand call it home, so the traffic is minimal. The roads are well maintained, with footpaths on all the streets. Exmouth is easy to walk around due to its compact city centre, so be alert to pedestrians as you drive. Learmonth Airport is located 34km south of Exmouth, and will take around 25 minutes to drive to the city. Pick up your rental car and head straight along Minilya-Exmouth Rd to get into town. ● Motorists drive on the left. ● The speed limit is 50km/h in town, and up to 100km/h on rural roads and highways unless otherwise signposted. ● Driving at night can be dangerous, as cows, emus and kangaroos often wander onto the roads. At Learmonth Airport, enjoy free short and long term parking, located in front of the terminal for easy access. There are several car parking areas in the town centre and street parking is generally free. Always check designated signs for restrictions. At Airport Rentals we provide you with options from a range of rental suppliers. It’s easy: pop in your travel dates and click search to view an incredible range of vehicles. Compare price, brands, style and more to find the best rental car for your trip. Enjoy secure online confirmation and no booking fees. Fly in to Exmouth’s Learmonth Airport direct from Perth, or connect from Sydney, Melbourne or Brisbane. Grab your suitcase from the baggage claim, and pause for a coffee at the airport cafe. Pick up your rental car keys from the designated rental kiosk located in the arrivals lounge, and begin your adventure. If you’re picking up your rental car in town, there is an airport shuttle bus operated by Exmouth Bus Charter, which you must book ahead of time. With free WiFi, swimming pools and a putting green, you can’t go wrong with Devoncourt Resort & Apartments. For a similar feel, check in to the Cavendish Hotel for oceanview rooms and a dance floor. If you’re looking for something a little more laid back, the Premier Inn Exmouth Seafront and Dolphin Hotel Exmouth are both central, and just short walks from the beach. Cranleigh Bed & Breakfast has an incredible full breakfast available, and complimentary WiFi for uploading all those holidays snaps. Get out in your car hire and enjoy the local events during your visit. ● The annual migration of the whale shark is celebrated in May each year with the Whaleshark Festival. ● If you’re in Exmouth over Easter, the Good Vibrations Live Music Easter Weekend is an incredible event not to be missed. ● Up for a road trip? Perth holds the Fringe World Festival each year and is a circus extravaganza well worth the drive. Restaurants, cafes, food trucks and bars, Exmouth has it all. For a seafood menu like you’ve never tasted, dine at Whalers Restaurant and select from an incredible range of delicious dishes. Head to BBq Father for a mixture of BBQ style meat, tasty pizza and homemade pasta. Parked at the entrance to the Exmouth Cape Holiday Park is the cute pastel coloured food truck, Short Order Local. With the promise of fantastic coffee and fresh baking, this on-the-go cafe will have you out of bed to beat the rush. Sea Salt is another great cafe, and has the perfect menu for vegetarians. 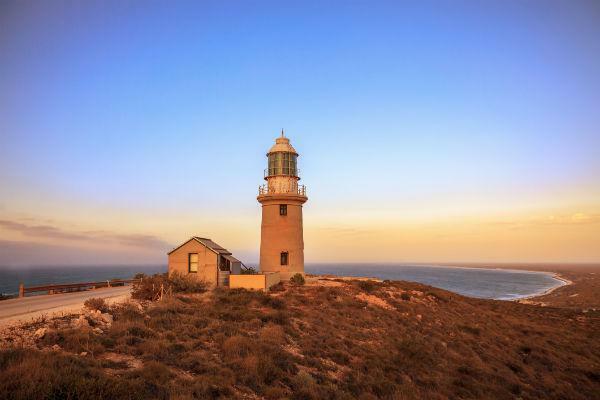 Exmouth is right on the tip of the North West Cape in Western Australia. Perched between the state capital Perth in the south, and tropical Darwin in the north, Exmouth does feel like it’s in the middle of nowhere. However the tourists that flock to this resort town to enjoy the beaches, hikes and incredible sealife swell the population from around 2,000 residents to 6,000 every year. Exmouth may be small in size, but it’s big in heart. A rental car is invaluable in these rural areas as it allows you to explore all the attractions in the area - and there are many. 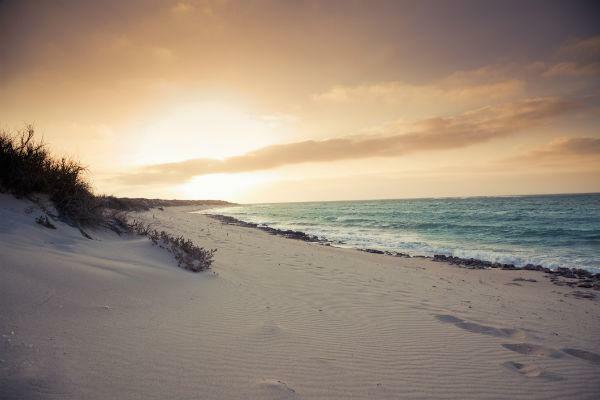 ● Famous for its easily accessible underwater wonderland, the Ningaloo Reef is a must do in Exmouth. ● Cape Range National Park is a breathtaking 50,581 hectares of limestone cliffs, heart-stopping canyons and abundant wildlife. ● Explore the ocean with Ningaloo Ecology Cruises’ Glass Bottom Boat Tours. ● Exmouth is one of the world’s biggest breeding regions for sea turtles. Plan your trip between December and March to witness hatchlings make their way down the beach into the ocean. Experiencing Exmouth and the surrounding region is ideal in a rental car. There are no public buses in the city, however you can catch a coach up to Broome and down to Perth, with Integrity Coach Lines. Exmouth has a hot semi-arid climate, which means it’s warm and dry. The summer months from December to February have an average temperature of 37 degrees Celsius, and winter seems almost non-existent, dropping only to an average of 24 degrees Celsius. While most of the year stays pretty dry, from January through to April there is the possibility of monsoon-like storms.